More details about Valkyria Chronicles 4 are becoming available after its surprise announcement. The update fills us in on the state of the world and about two important squad members: Raz and Kai. The setting is the fictional continent of Europa. Specifically, the entire western region of the largest continent in the northern hemisphere. Since ancient times, many battles for supremacy have been fought in pursuit of the country’s unification. In 1935, world affairs steadily worsened, and the Imperial army violated the non-aggression treaty and began advancing onto the Federation. And the greatest war in history, the “Second Europan War,” which engulfed the entire continent of Europa, suddenly commenced. Claude Wallace, who participated in the war as captain of the Federation army’s Squad E, fought an early battle in the war and struggled to attain victory. However, three months after the war began, the Federation army, which was repeatedly defeated by the Imperial army’s overwhelming resources ended up in a difficult situation. After finishing a battle, Claude returned to base and was informed by his superior of a large-scale strategy having begun. It was “Operation Northern Cross,” a major counterattack to raid the empire’s capital city in order to overturn the Federation’s numerical inferiority. As for the two characters, Raz is a sergeant and Assault soldier of the Edinburgh Arm 101st Division No. 1 Battle Brigade, No. 32 Armored Ranger Battalion Squad E division. He is quick to anger (and to fights), but cares very deeply for his friends. He is voiced in Japanese by Kazuya Nakai. Second, we have Kai Schulen, a member of the same division. Instead of an Assault soldier like Raz, Kai is a master sniper with the nickname “One Shot Killer.” Also unlike Raz, she is quiet and direct when it comes to conversation. She also happens to be childhood friends with Claude, Raz, and Riley. She is voiced in Japanese by Maaya Sakamoto. 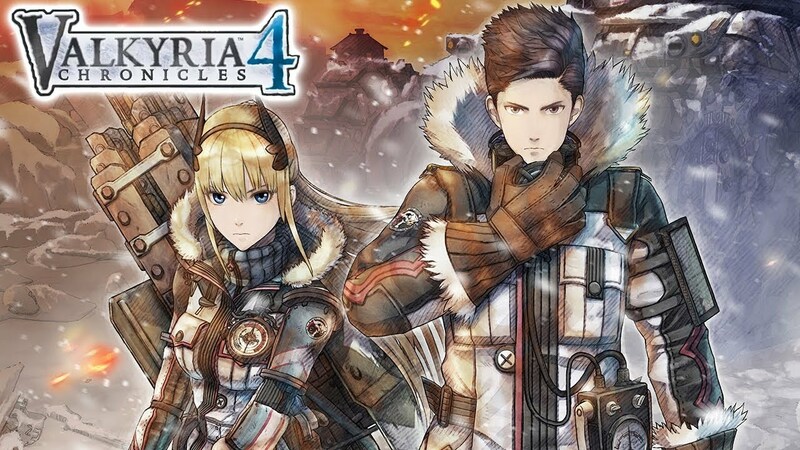 Valkyria Chronicles 4 releases in Japan on March 21st, 2018 for PlayStation 4 and later that summer for Nintendo Switch. The game heads to Europe and the Americas on PlayStation 4, Xbox One, and Nintendo Switch sometime in 2018. Valkyria Revolution, a spin-off to the series, released just this year.